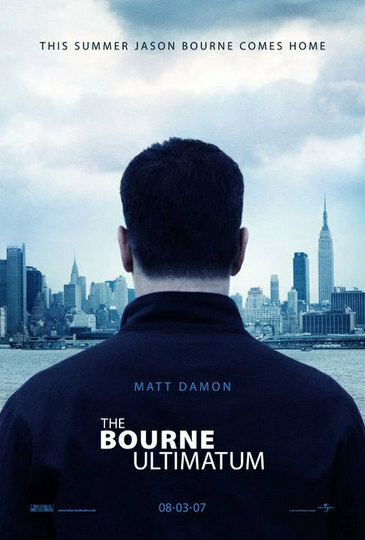 The conclusion to the Bourne blockbusters, this film has Jason Bourne finally returning to the United States to track down the men who made him into a lethal killing agent for the government. The tagline for this movie is “This summer Jason Bourne comes home.” Really though, it should have been this: “See Jason. See Jason run. Run, Jason, RUN!” Don’t get me wrong, watching Matt Damon take out bad guy after bad guy is certainly exhilarating. The fight scenes are choreographed to split-second timing and are awfully fun to watch. But that’s mainly all there is: Bourne running and Bourne fighting. Ezra Kramer, Bourne’s old nemesis, is still after Jason and using all the manpower and technology at his disposal. But since Kramer’s office is more or less the people who trained Bourne in the first place, it’s like trying to anticipate the winds next move. And when Pamela Landy, a high-ranked agent working for Kramer, turns and begins helping Bourne, things get even more interesting. But, this just isn’t a cloak-and-dagger espionage kind of movie. It’s the journeys’ end of a secret government agent who’s incredibly pissed off and willing to do anything to discover his real identity, who took it, exact revenge and then disappear. And boy howdy, does Bourne do just that.
. For all that it’s a chasing and fighting movie, The Bourne Ultimatum is a fine romp, and worth watching to cheer Jason on!